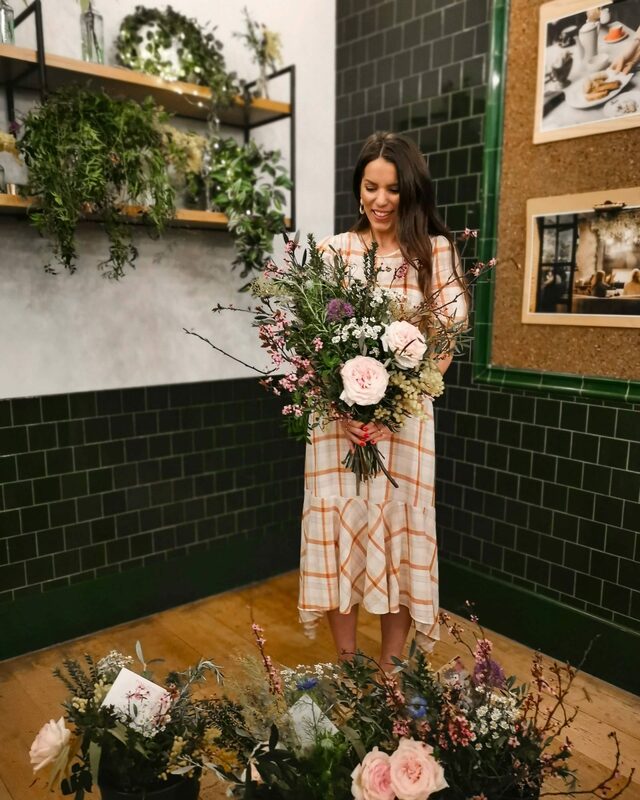 Last week I went to the launch of a special new evening that ASK Italian are hosting on the run up to Mother’s Day and let me tell you it surpassed all expectations! 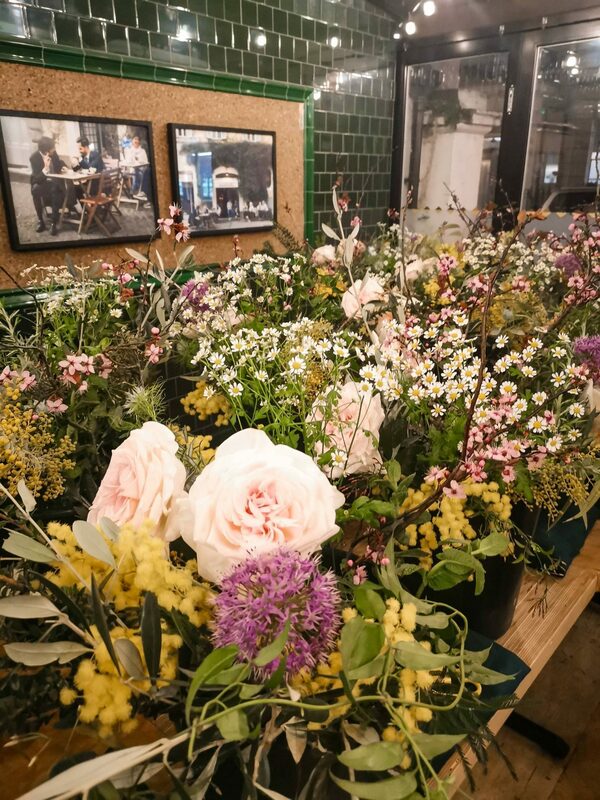 It was such an enjoyable night that involved a bouquet-making masterclass led by the iconic florists Rebel Rebel, a delicious three course set meal and an all-round fabulous evening with friends and fizz. 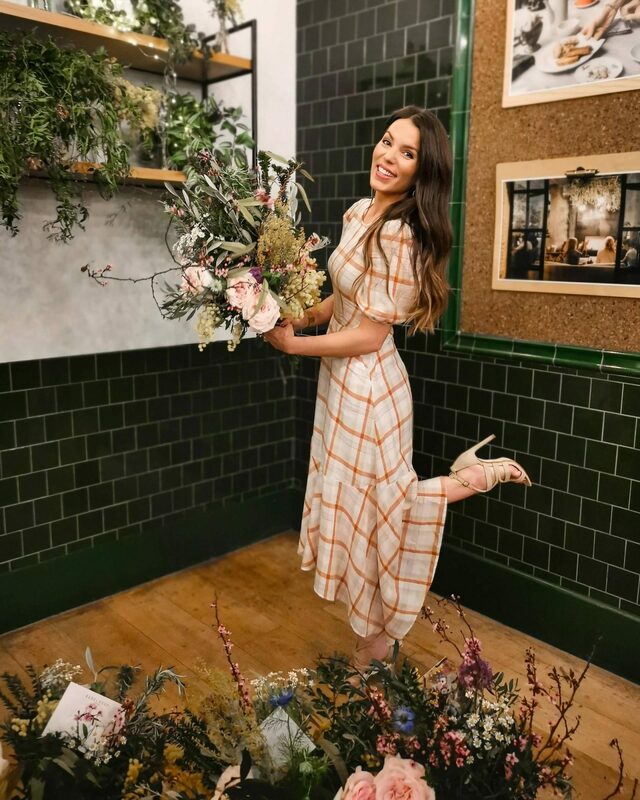 This specific event is going to be travelling around the UK to three different ASK Italian’s starting in London on 26th March, Leeds 27th March and Liverpool 28th March. 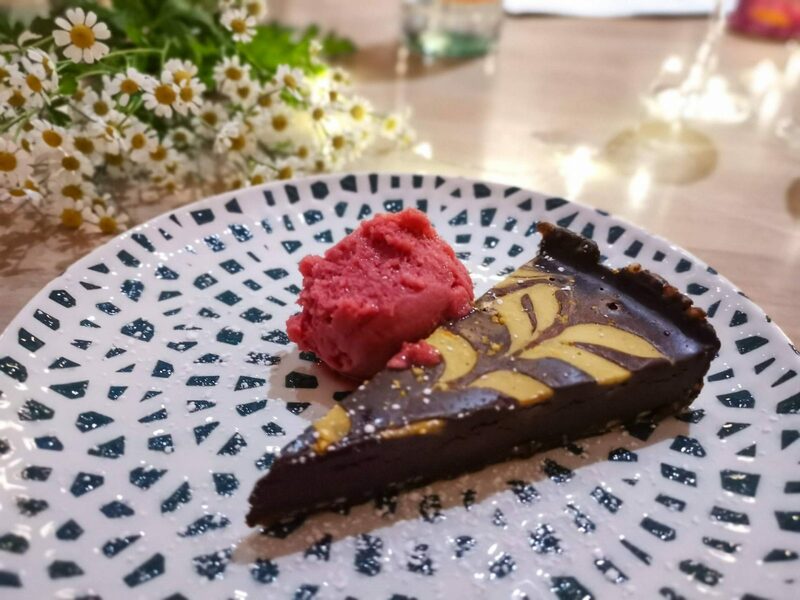 It’s only £19.95 too which is amazing considering a bouquet of flowers often costs more than that on its own AND you also get a three course meal too! 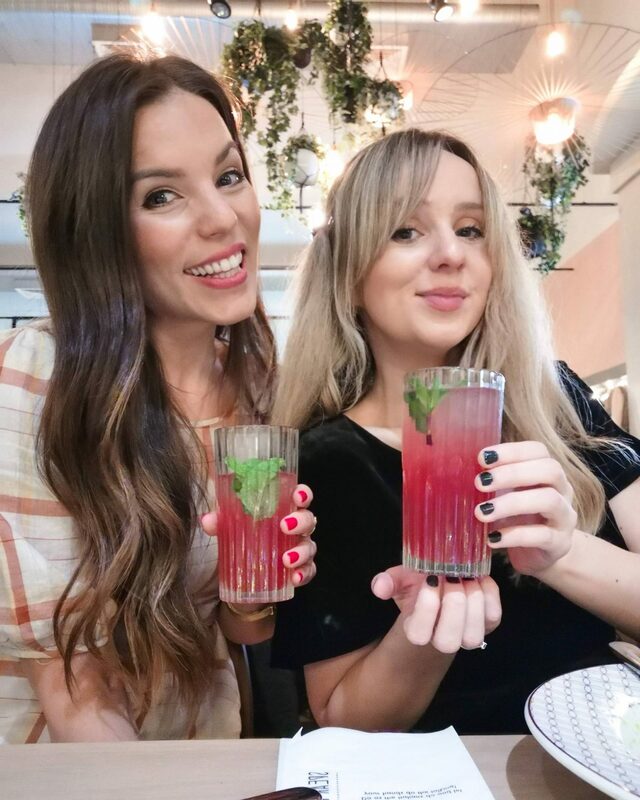 After experiencing it myself I really want to book some of the mums in my family on one of the nights as I know they’ll love it just as much as I did, and it’ll be a fun girly night out. YOU CAN BOOK TICKETS HERE BUT BE QUICK AS THERE ARE ONLY LIMITED SPACES! 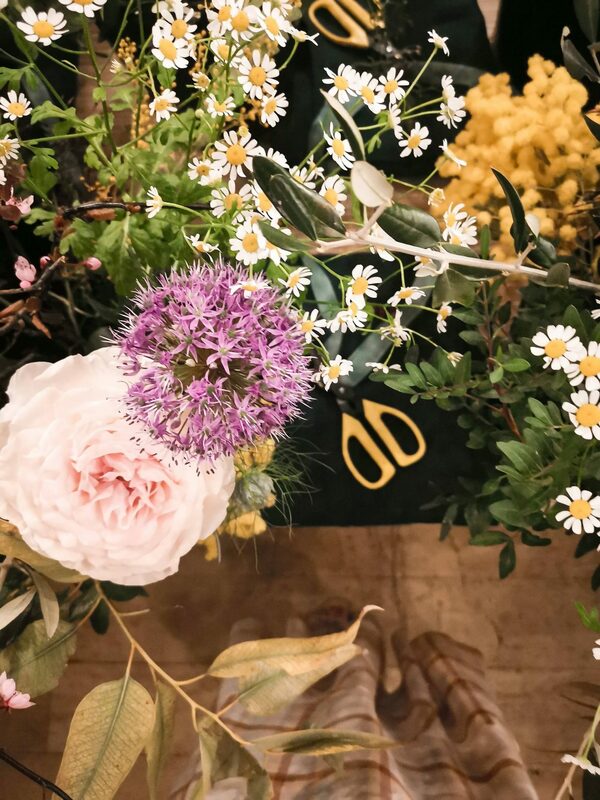 What makes it extra special is that YOU get to handpick the stems, flowers and foliage you like to create your very own “La Dolce Vita” bouquet (which is basically an ‘edible bouquet’ to you and I). 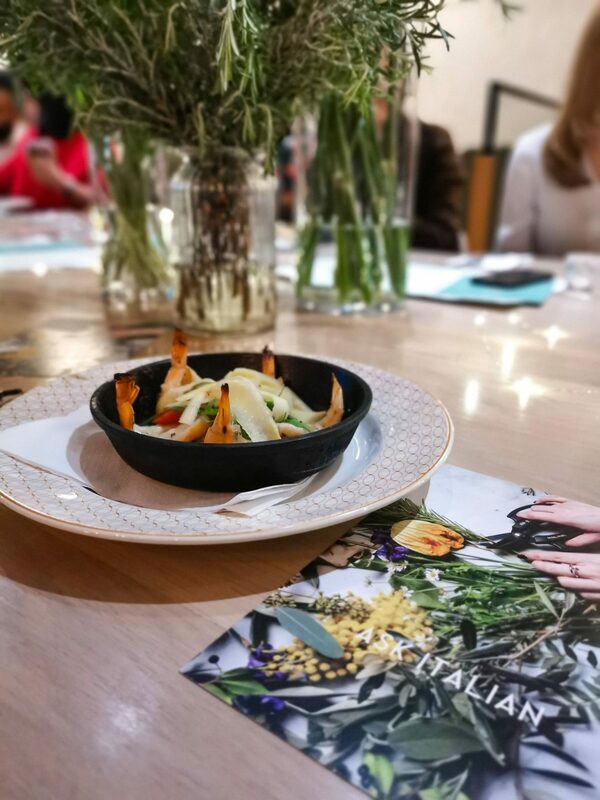 All the stems are carefully crafted with fresh Italian herbs such as Rosemary, Olive & Mint and yellow courgette flowers, inspired by the delicious new dishes available at ASK Italian restaurants. I’m not much of a flower artist but I thoroughly enjoyed it and found it really therapeutic and rewarding at the end when you see it all come together so beautifully. 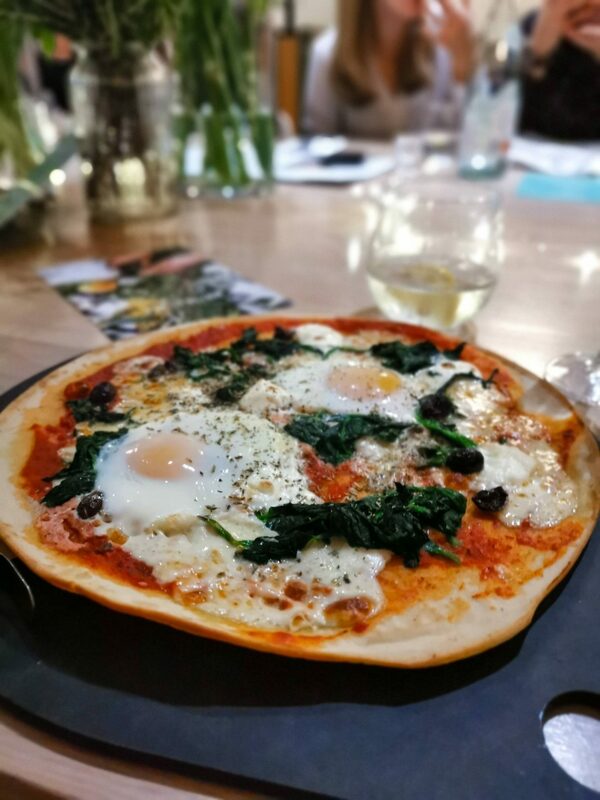 ASK Italian are hosting these events to not only celebrate mums on the lead up to Mother’s Day but to launch their new Spring menu too. 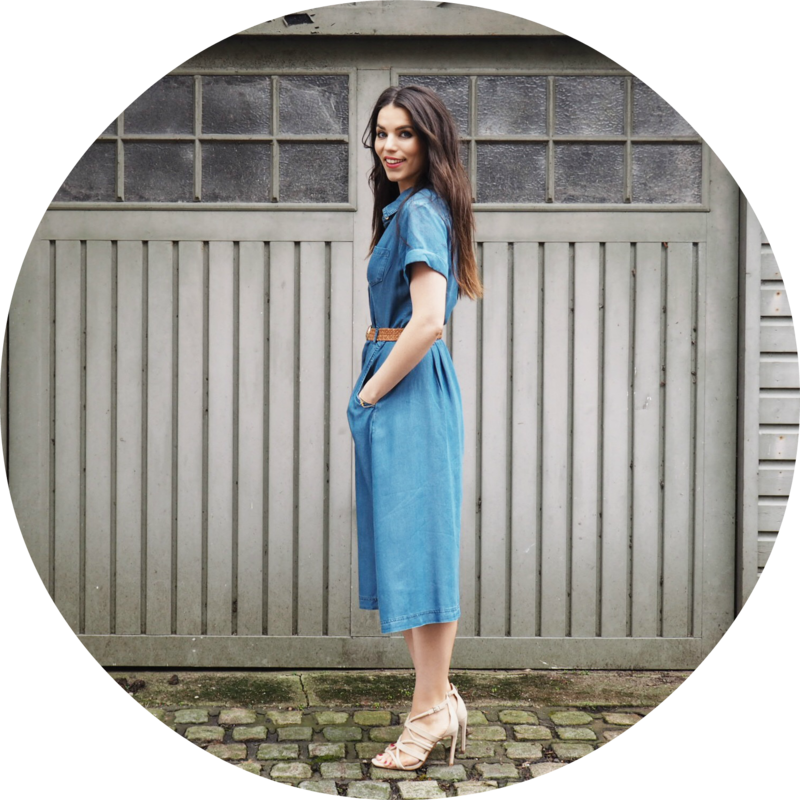 Many of you might know that I have coeliacs disease which often limits my options when dining out and finding restaurants that offer equally delicious gluten-free dishes as their normal standard menu is hard to come by. But I needn’t have worried here. It was blooming scrumptious… every mouthful of it! 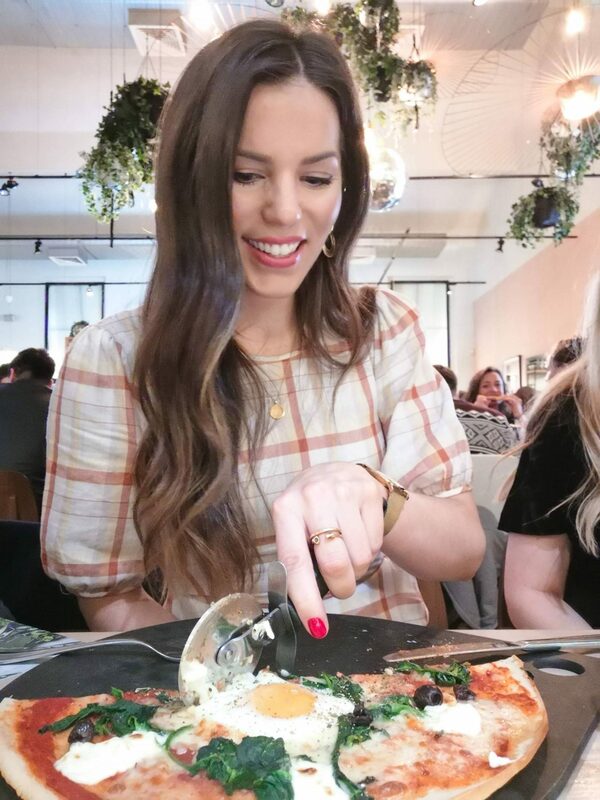 This is another reason I want to take my sister and mother-in-law because they have coeliacs disease too so I know they’ll appreciate the food on offer and not feel like they ‘just have to go for the salad because there’s nothing else gluten-free’… a common coeliacs’ conundrum. ASK Italian also cater really well if you have other dietary requirements too like vegan, vegetarian etc so don’t be afraid to ask. Here are a few snaps of what I chose and ate; Light Butterfly King Prawns, Fiorentina Pizza, Vegan Blood Orange Tart. 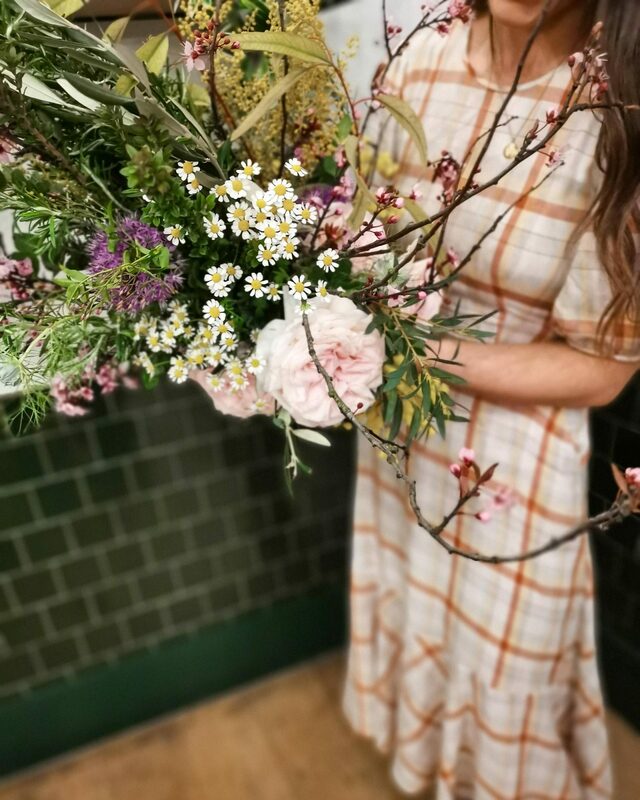 You can view the new Spring menu here and the set menu for the ‘Floral Artistry’ events and finally if you wanted to take your Mama out they have a special Mother’s Day menu too where you can enjoy a three course meal with a glass of Prosecco on Mothering Sunday! So I may see you at the Leeds or Liverpool event as I’ve just messaged the mums in my family about going next week! If you do book as well and see me come say hello and if not have a wonderful and relaxing Mother’s Day yourself! My beautiful friend Lucy from @_itslucy_ enjoying the launch of this event! I’m proud to say this post was kindly sponsored by ASK Italian. As ever, all thoughts and opinions are my own. I only blog about brands, products and services that I truly connect with, would genuinely use, and would legitimately recommend to others.